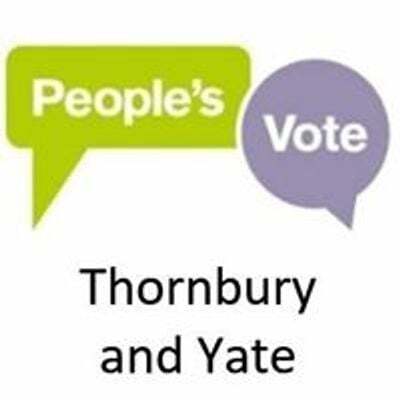 Thornbury and Yate People’s Vote have organised a coach to the People's Vote March in London on Saturday 23rd March. Please come along and show your support at this vital time - it's now or never! Bring flags, banners and placards and make some noise for a People's Vote. There are departure points from Thornbury and Yate. The march starts at midday. It goes from Park Lane, north of the Hilton Hotel, to Parliament Square where there are speeches. Our coach will drop us off near the starting point. We may need to use public transport to get from the drop-off point to the starting point. 8:00am: Bus stop in The Plain (by Grounded Café), High St, Thornbury, BS35 2AE.8:20am: Yate Leisure Centre, BS37 4DQ. Please arrive 15 minutes before these times so we can take group photos. Return from London: This will probably be from the coach park where the coach dropped us off, at 6pm. This will be confirmed shortly. 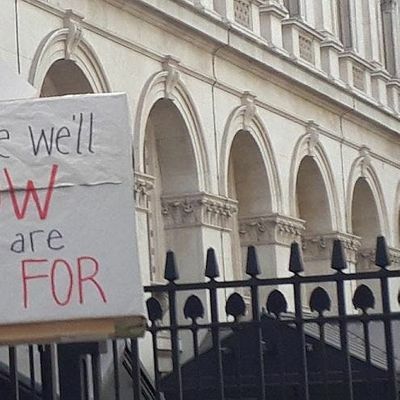 You'll need to get there from Parliament Square using public transport. The coach will drop off at Yate and Thornbury. Our group has no outside funding so we need to cover the coach costs ourselves. Please give what you can afford. Our suggested minimum donation is £22 for adults and £5 for children / concessions. 1. An Eventbrite admin fee is added to your ticket price. 2. If you need to buy 3 tickets, for example, please buy 3 separate tickets. 3. If you buy tickets then later can’t go, we’ll try to find someone else to use your ticket, but can’t promise that we'll be successful, so you might not get a refund. 4. If the event is cancelled for reasons beyond our control, we will probably not be able to provide a refund to anybody. PS - If you can't come on the march but would like to support our group, please make a donation instead!